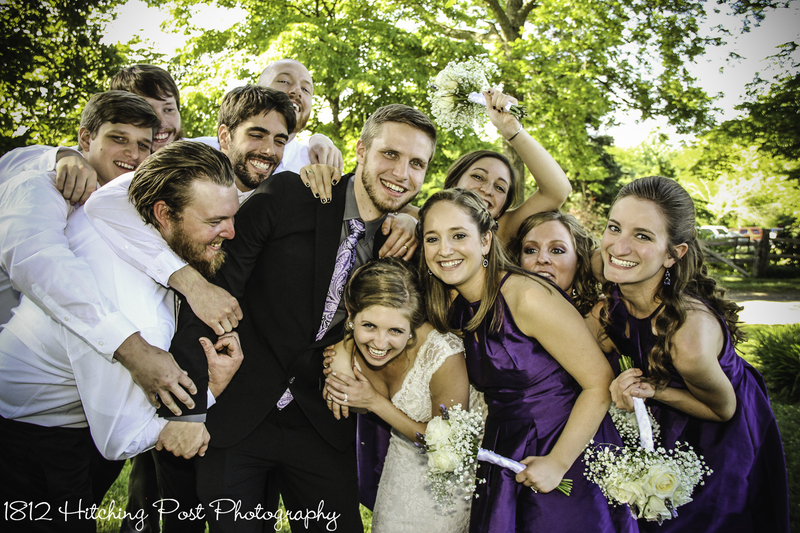 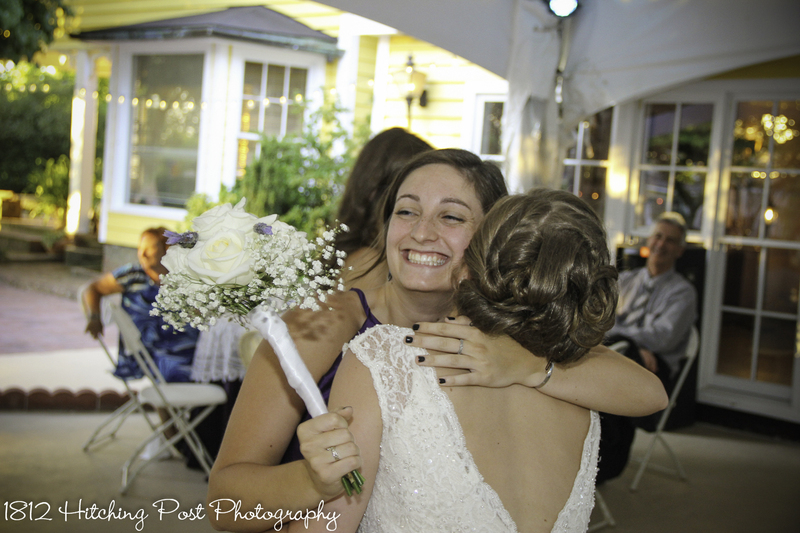 Photography is easy when the bride is as adorable as Jessica! 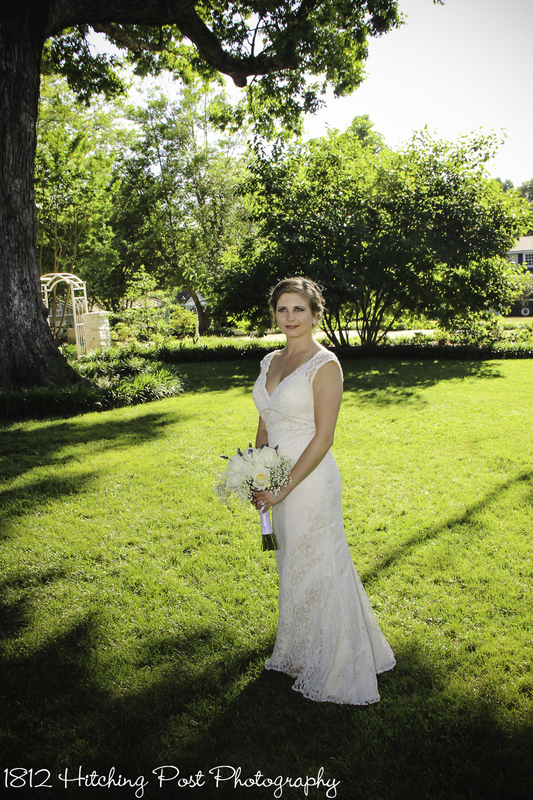 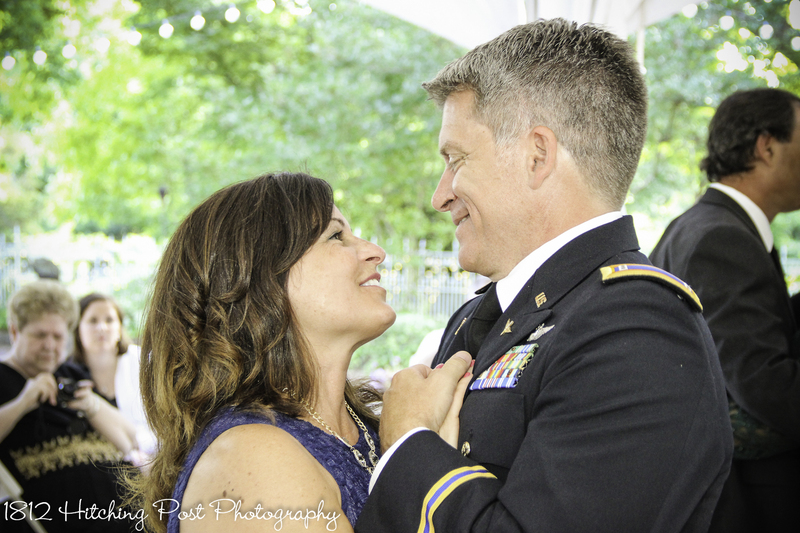 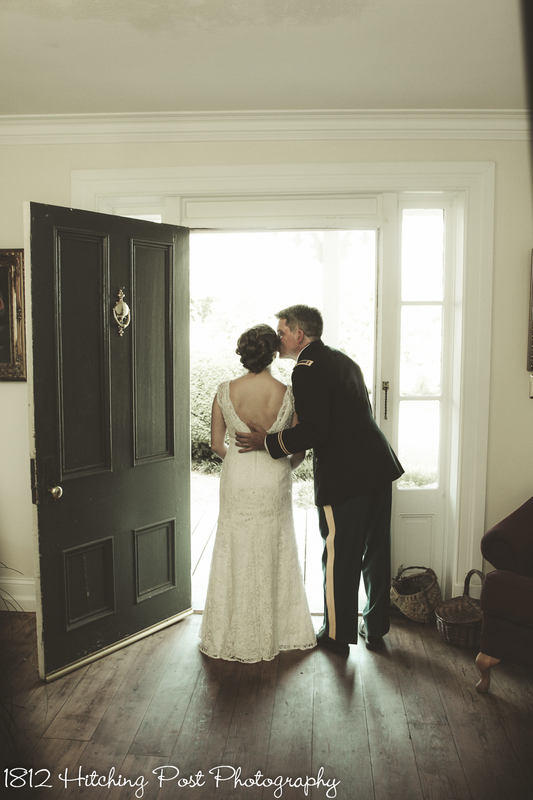 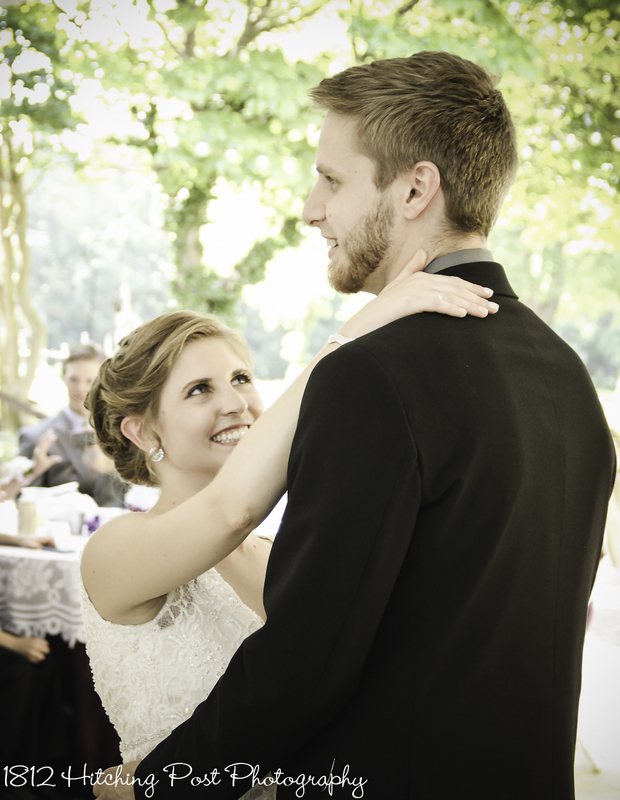 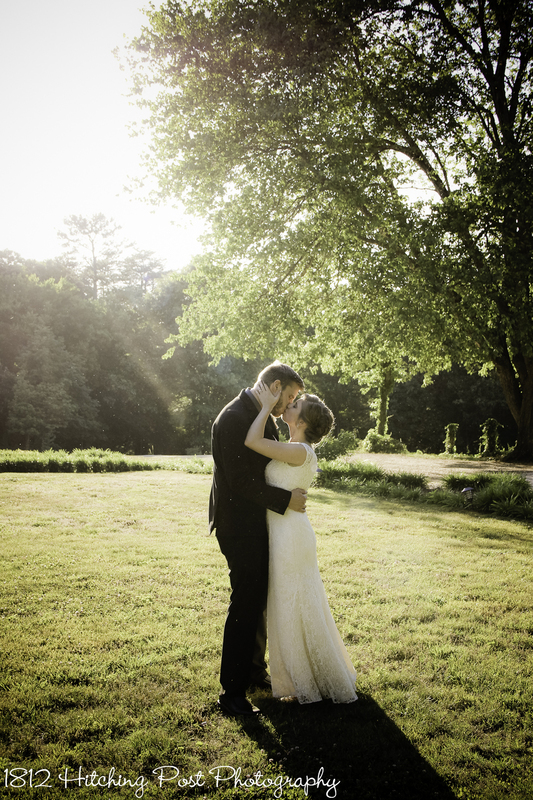 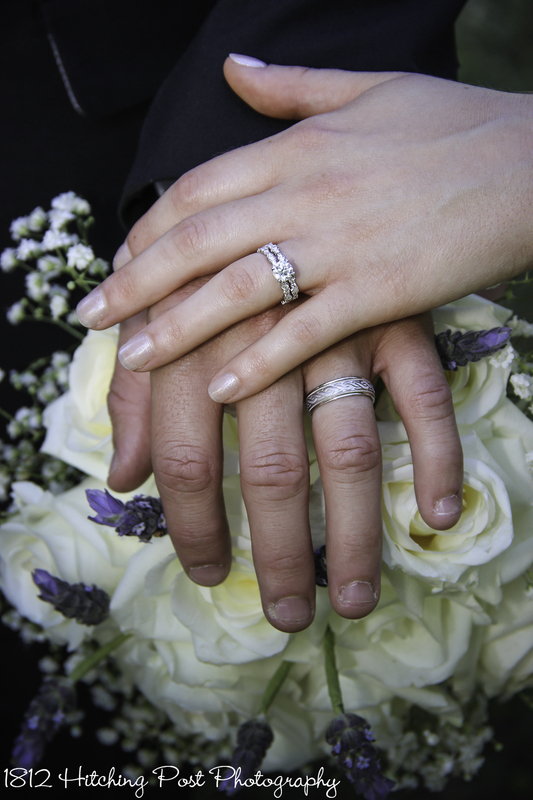 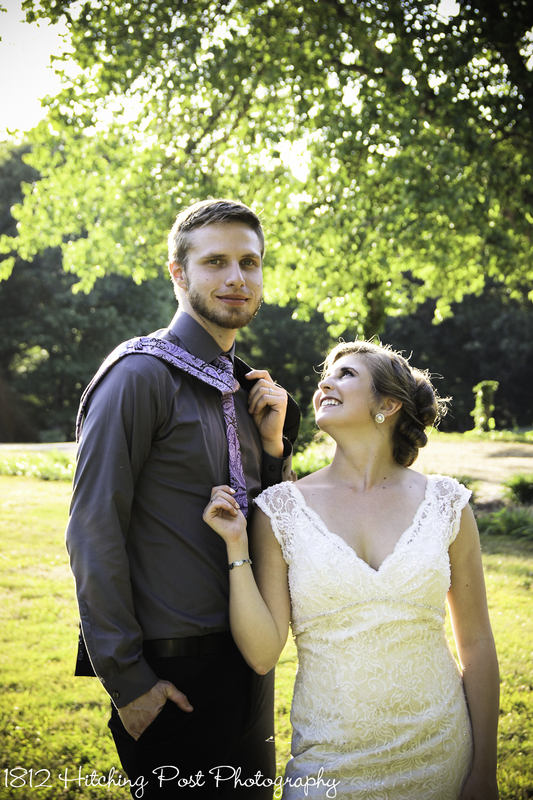 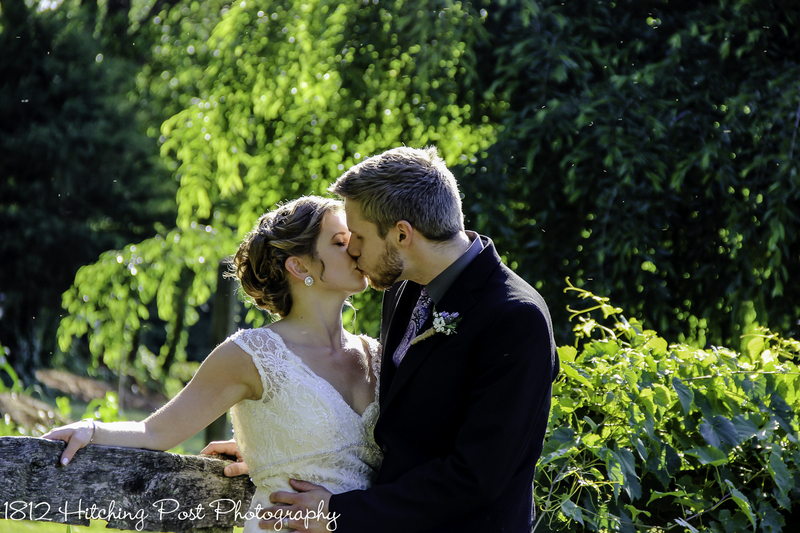 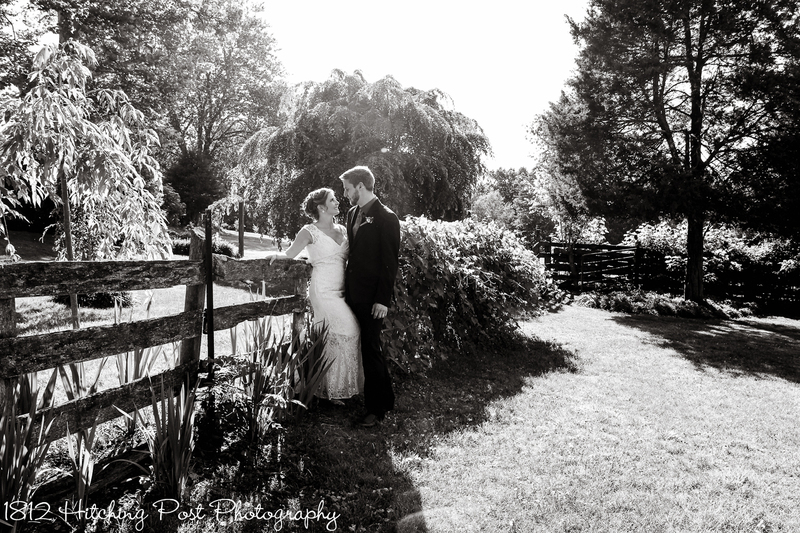 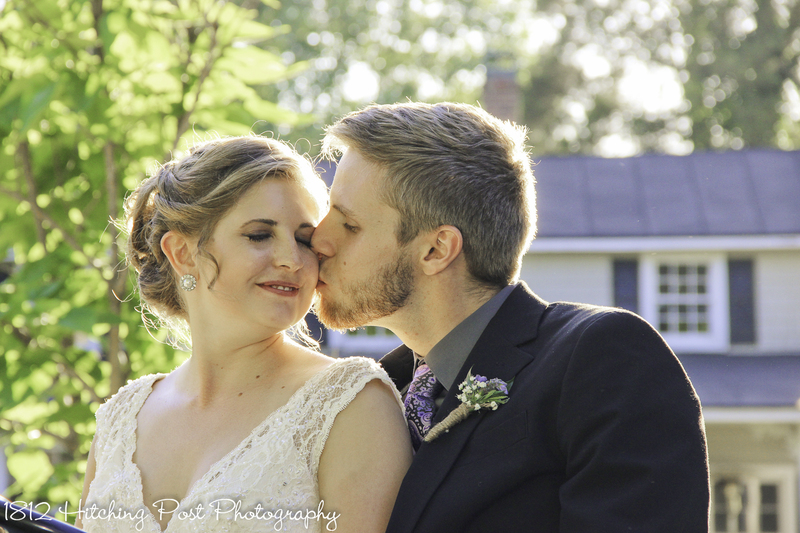 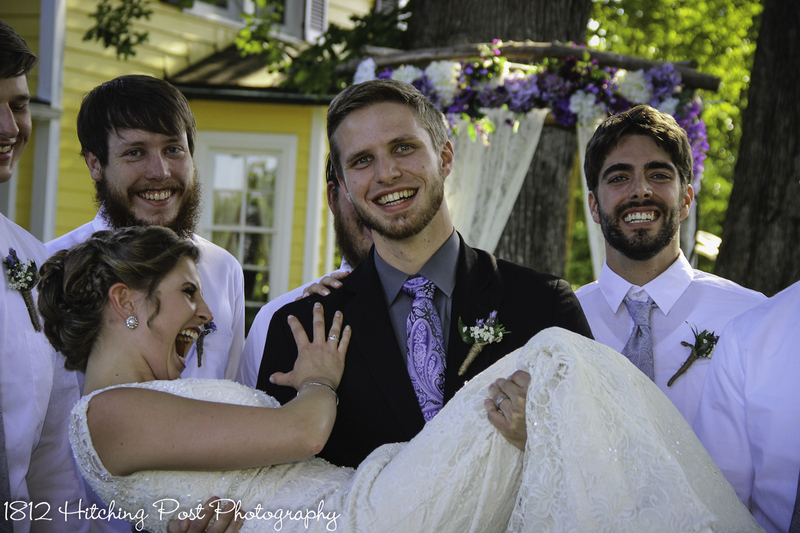 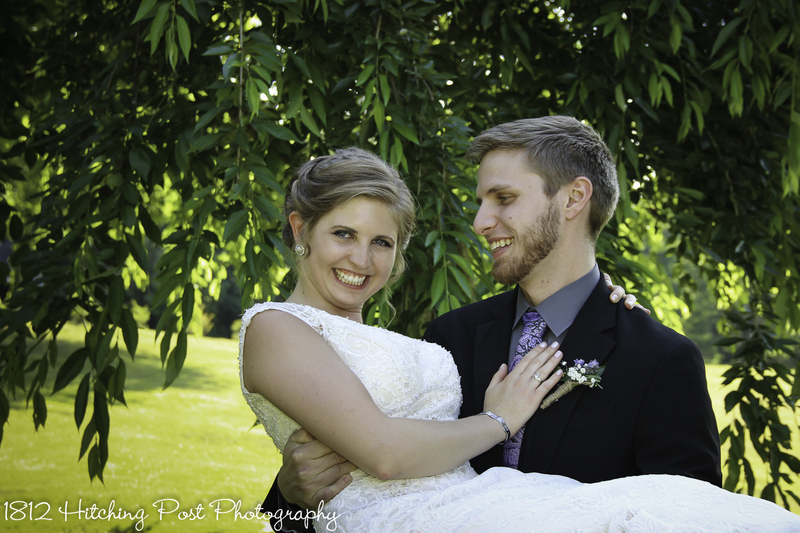 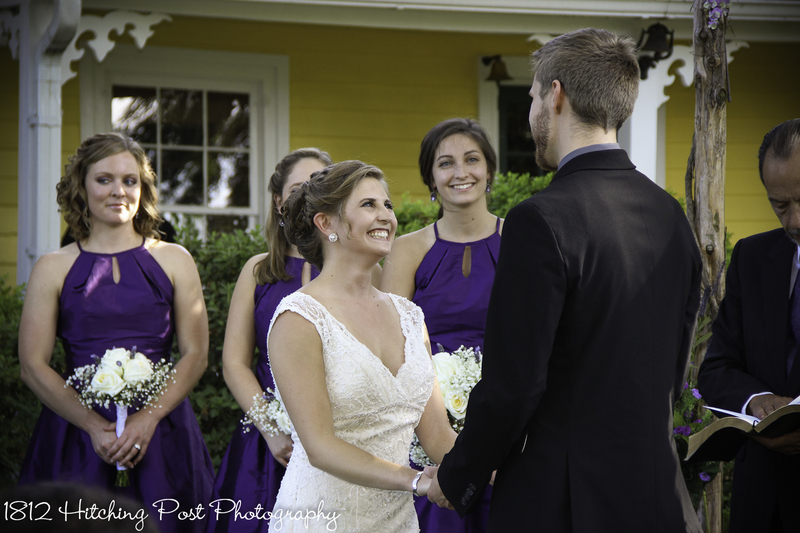 She and Adam were married at the end of May in a simply wonderful ceremony. 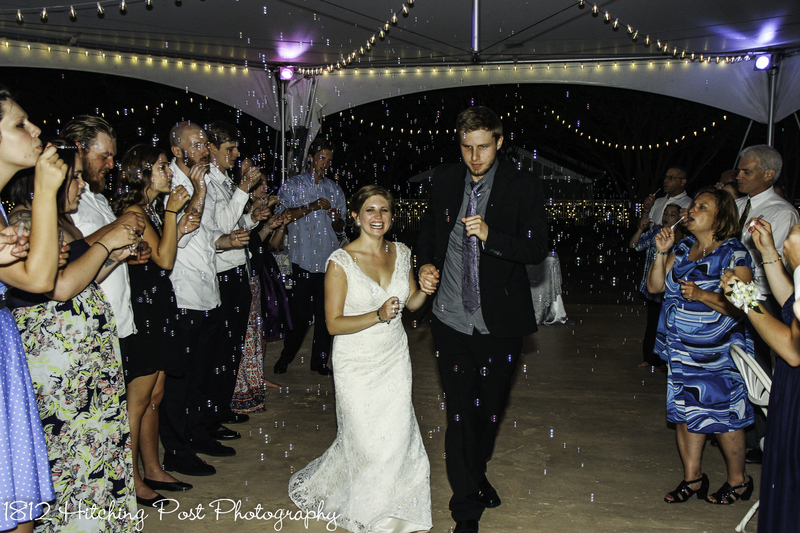 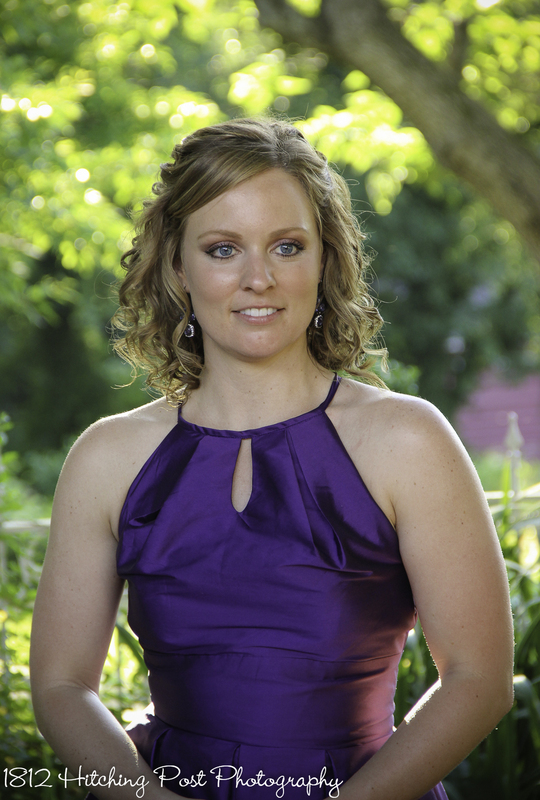 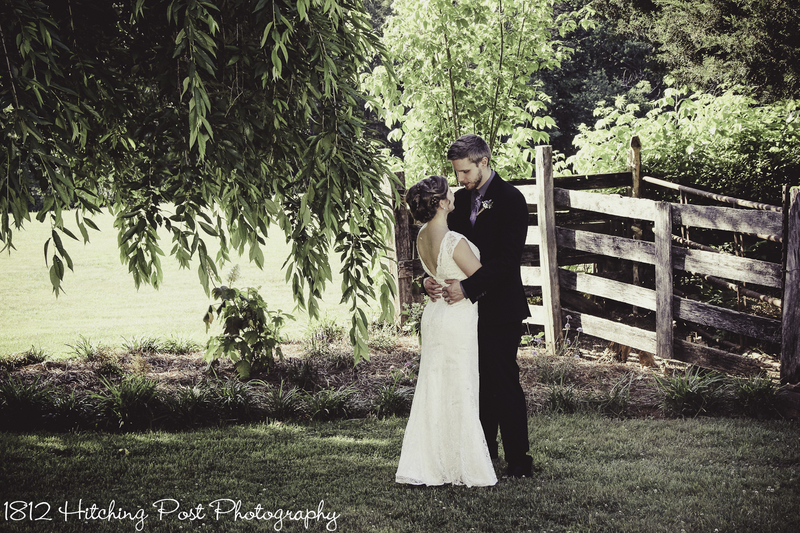 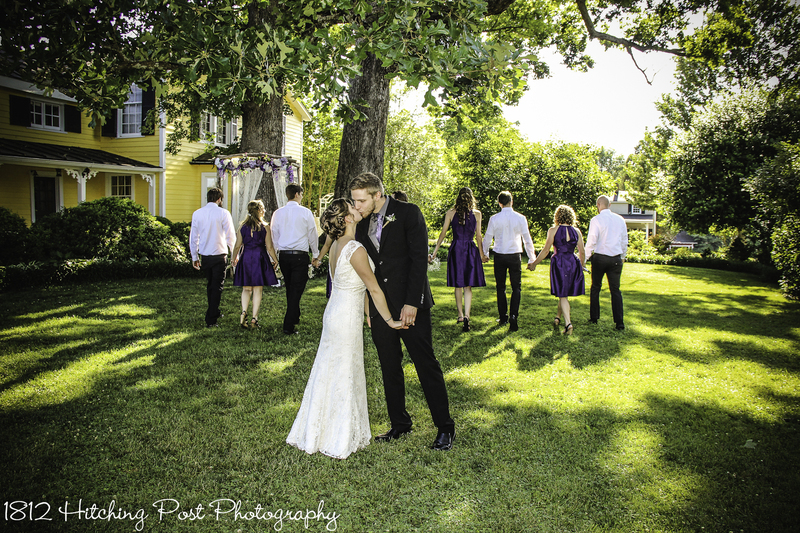 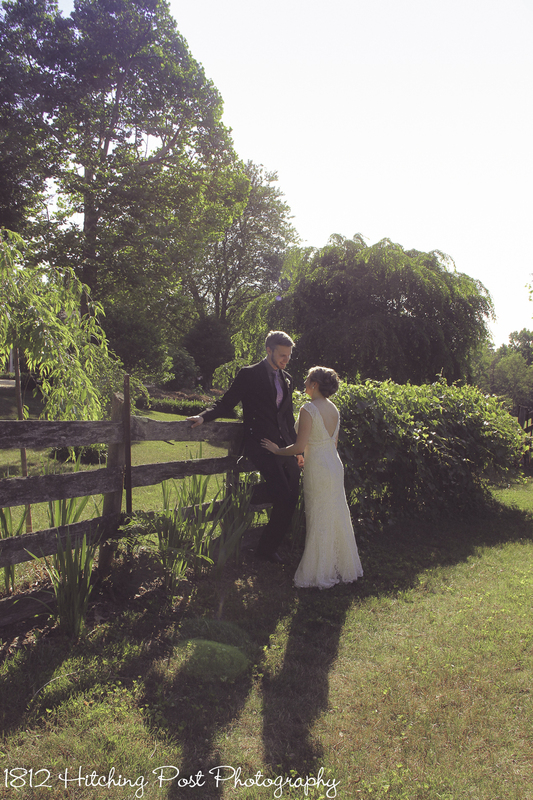 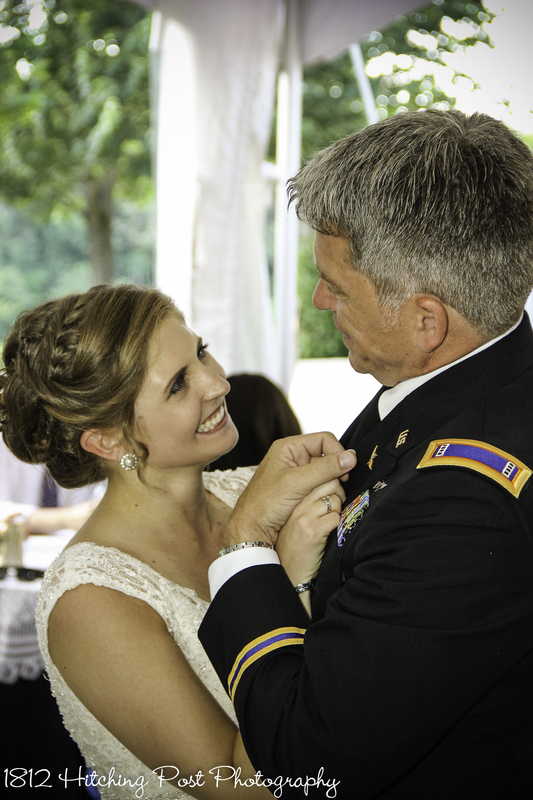 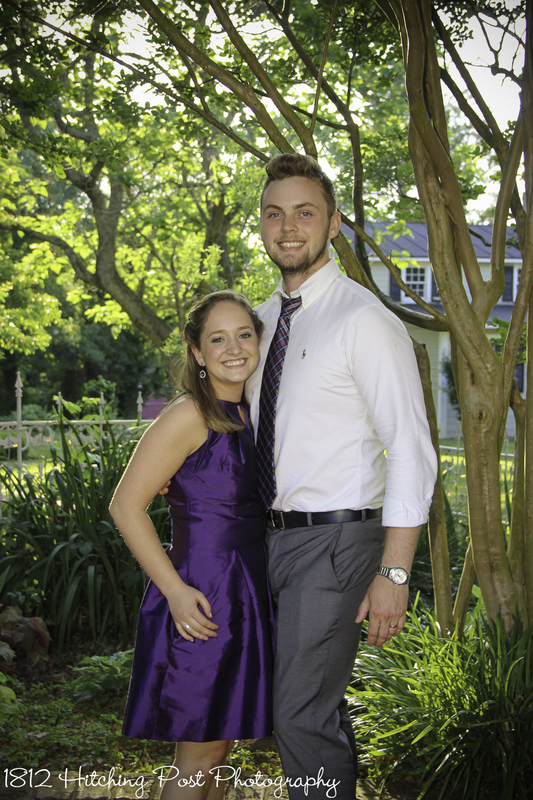 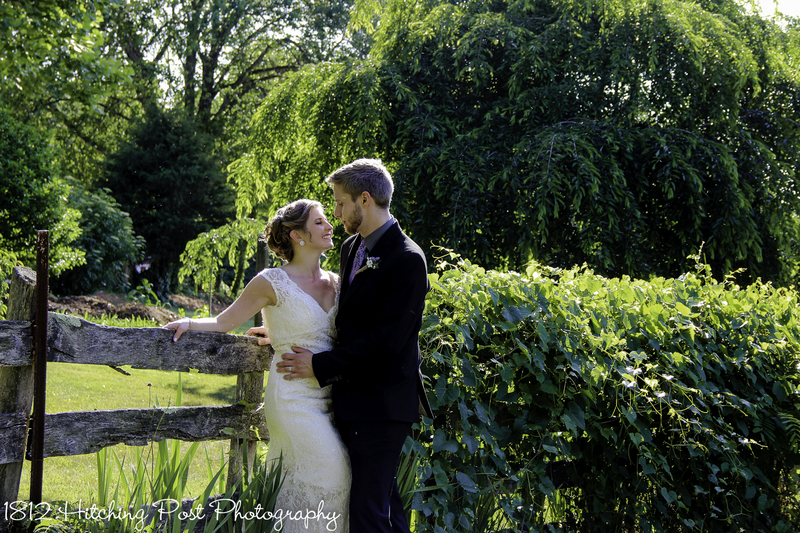 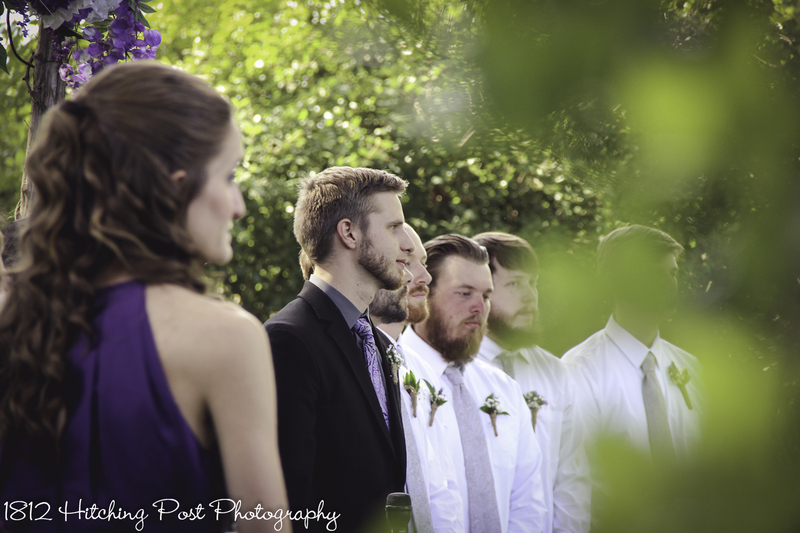 The wood arbor was decorated with a mix of purple and white flowers and lace curtains. 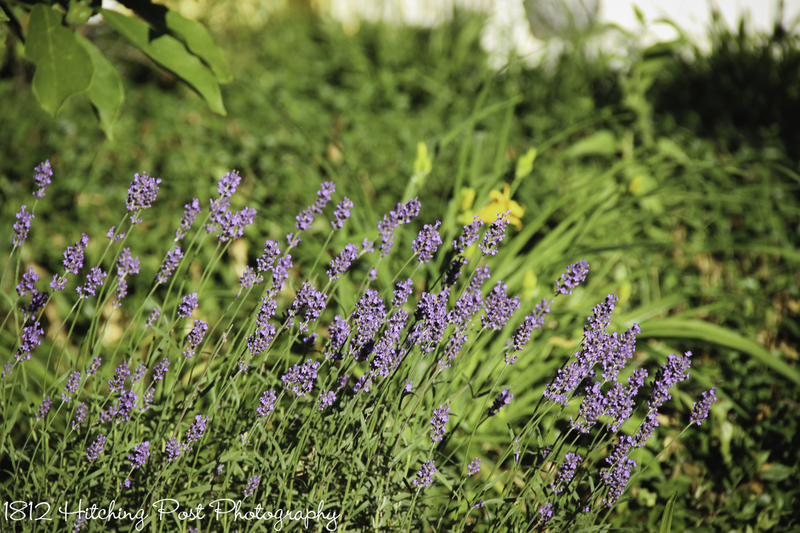 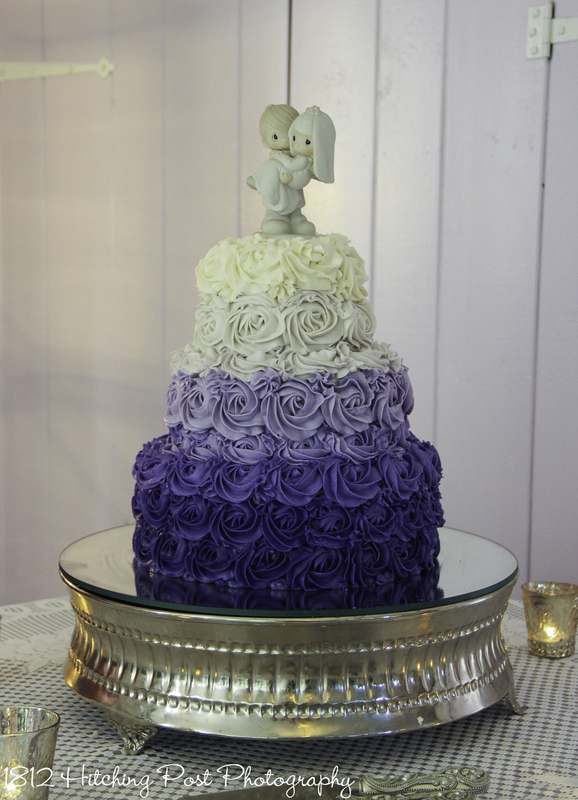 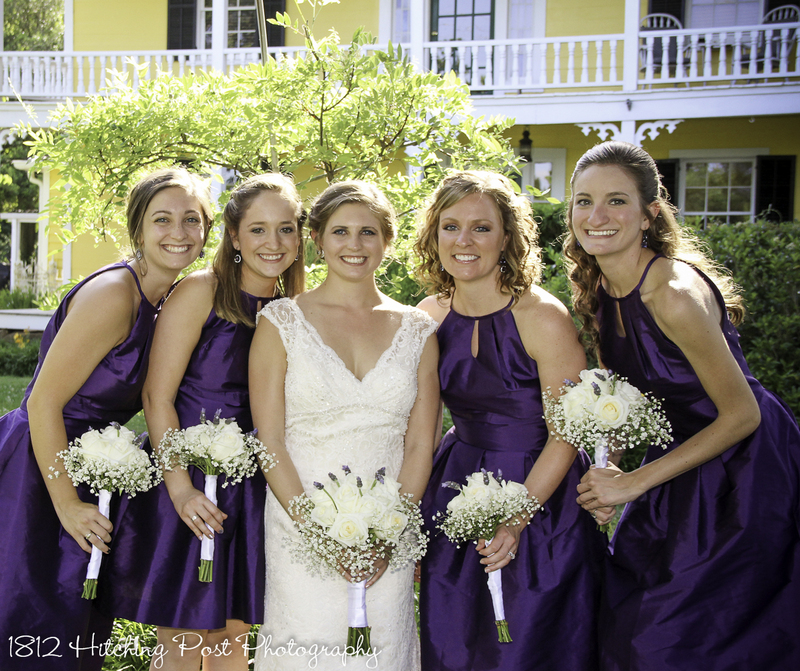 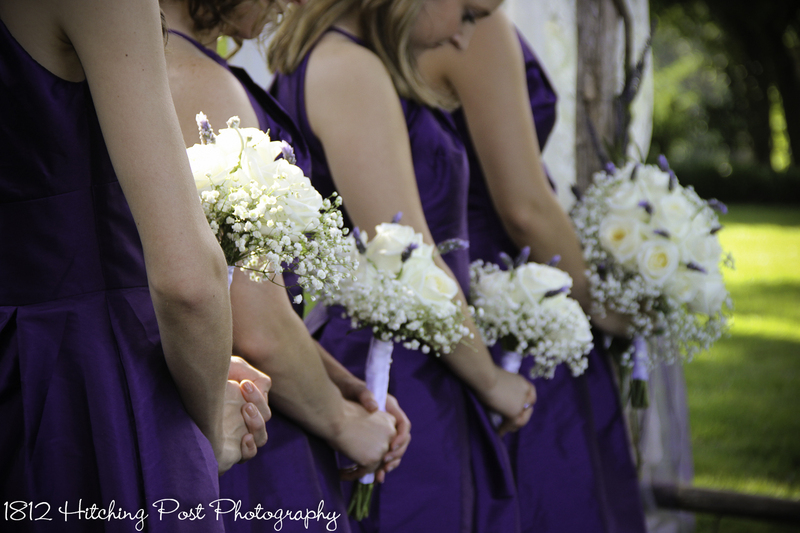 The bridesmaids wore deep purple dresses and carried bouquets of white roses and babies breath with a touch of lavender. 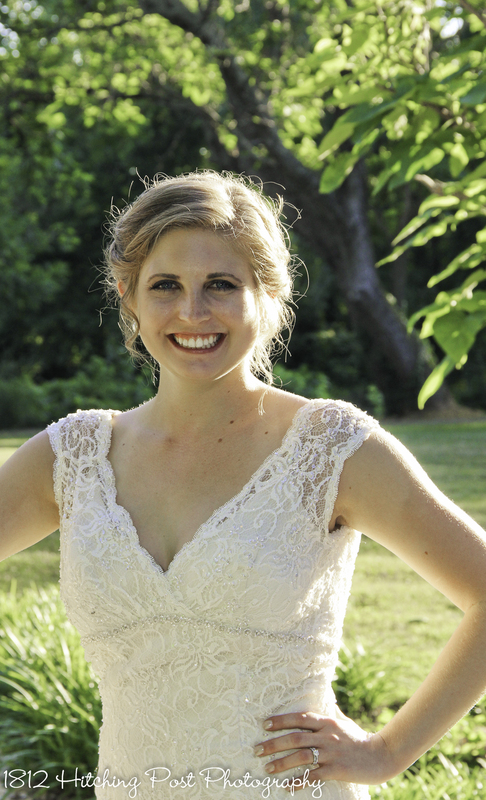 Jessica’s pretty v-neck lace dress was perfect for the day. 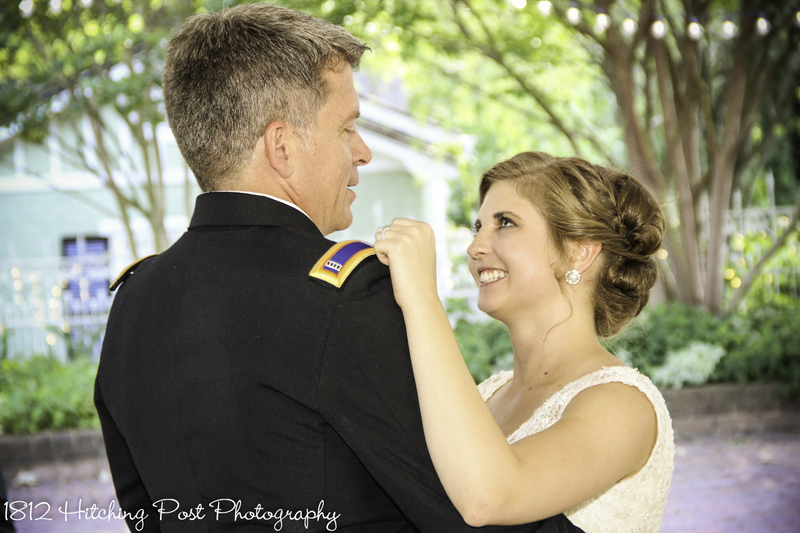 It was the same dress her mother wore at her wedding to Jessica’s step-father. 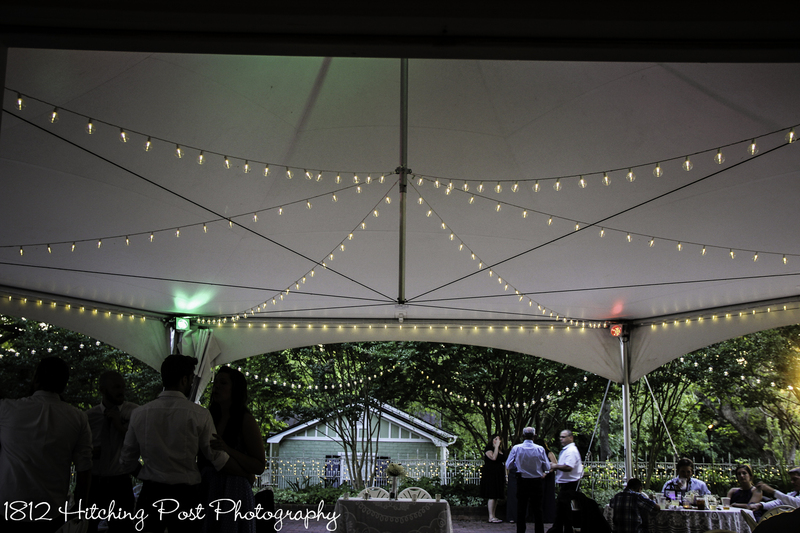 Tables at the reception had lace overlays over plum tablecloths. 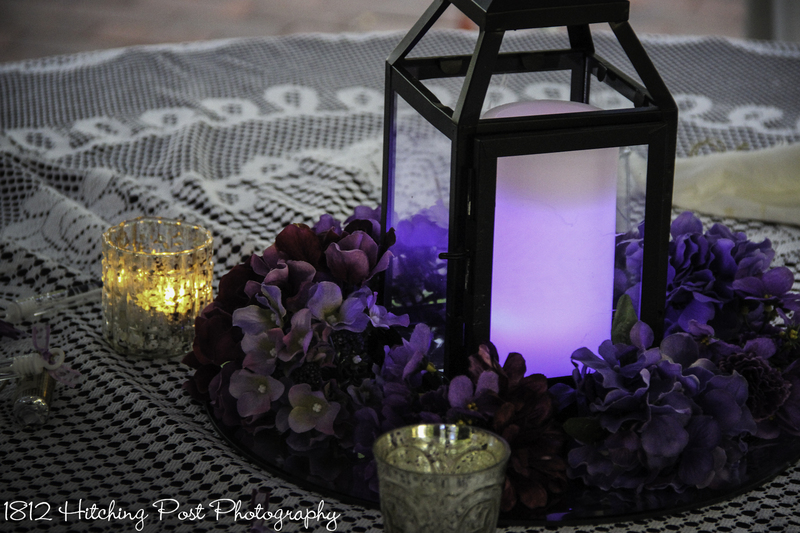 Centerpieces were lanterns surrounded by silk purple flowers with purple glowing flameless candles. 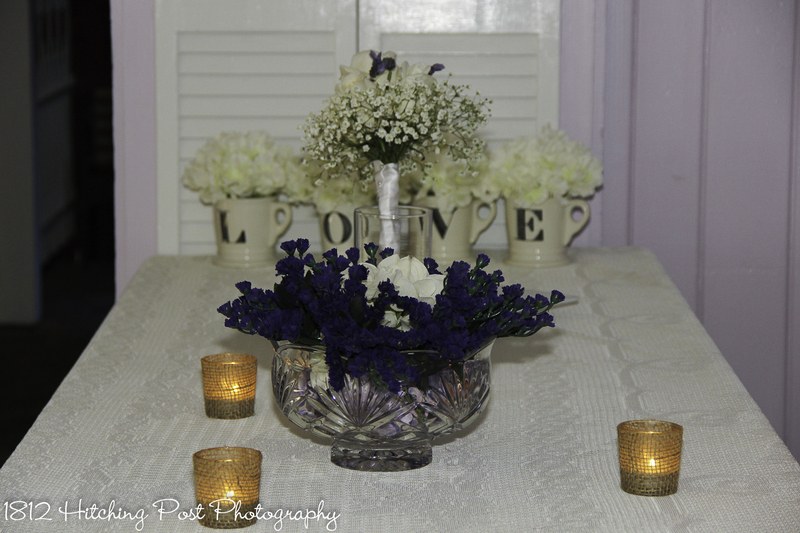 Other centerpieces were hobnail glass jars with flowers and candles. 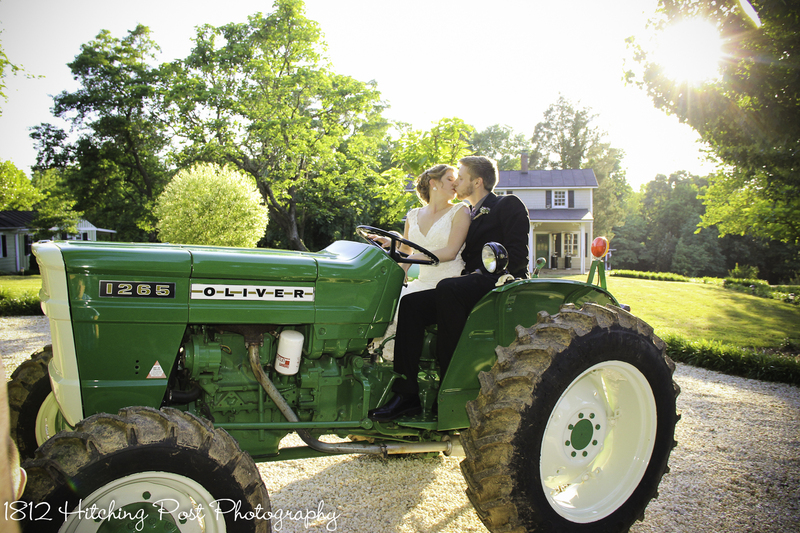 Sunset photos on the tractor were suggested by the groom’s mother. 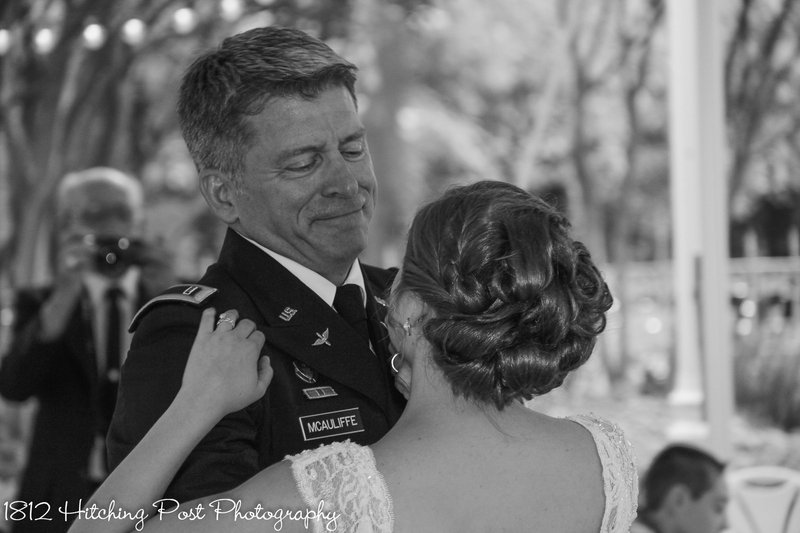 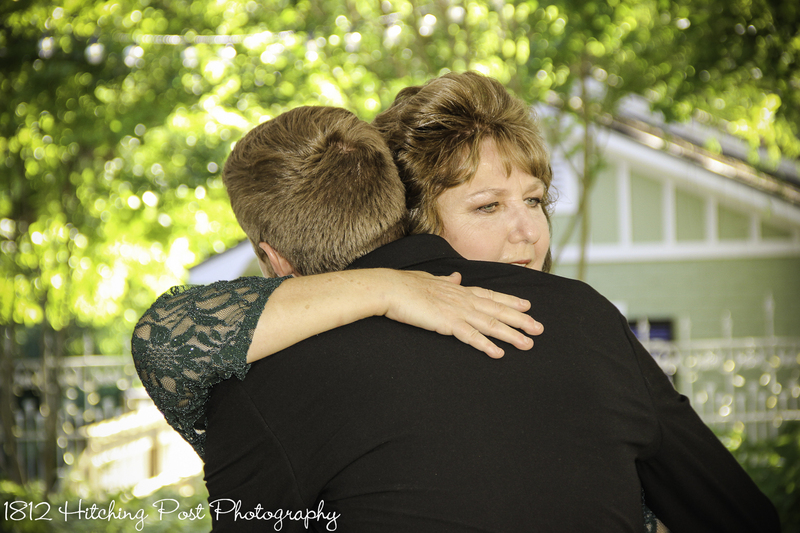 Dances included a parent’s dance for the parents and grandparents of the bride and groom. 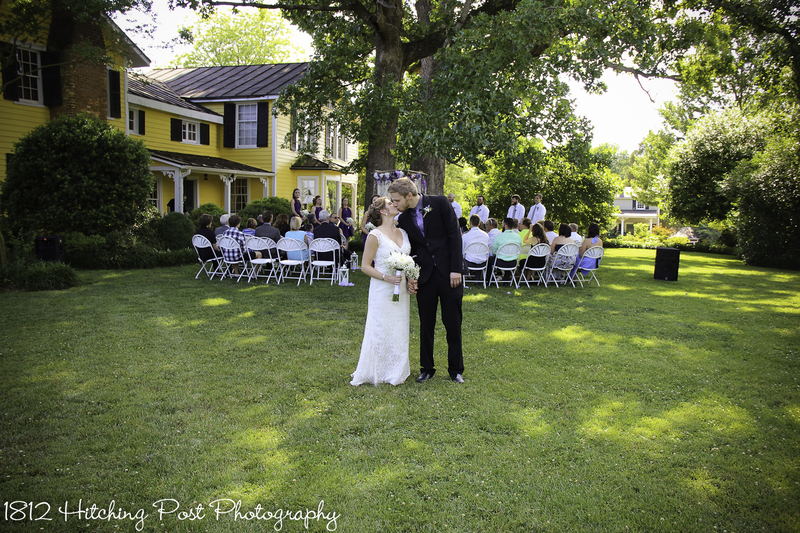 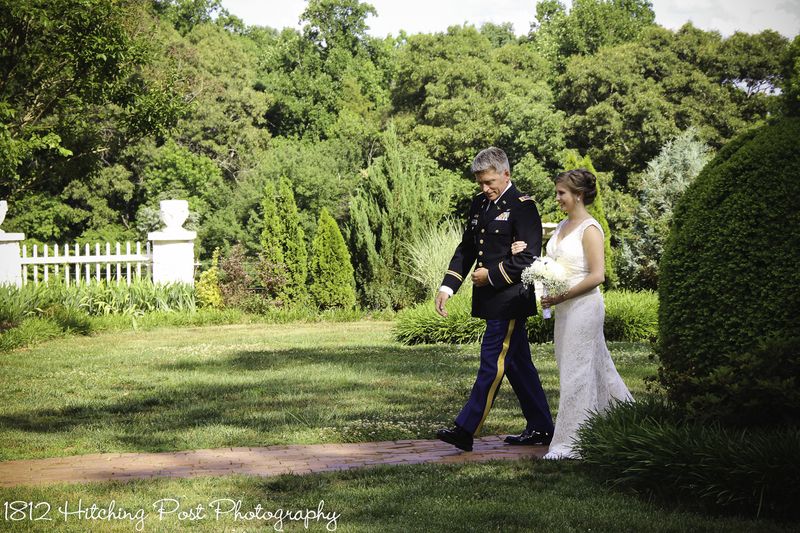 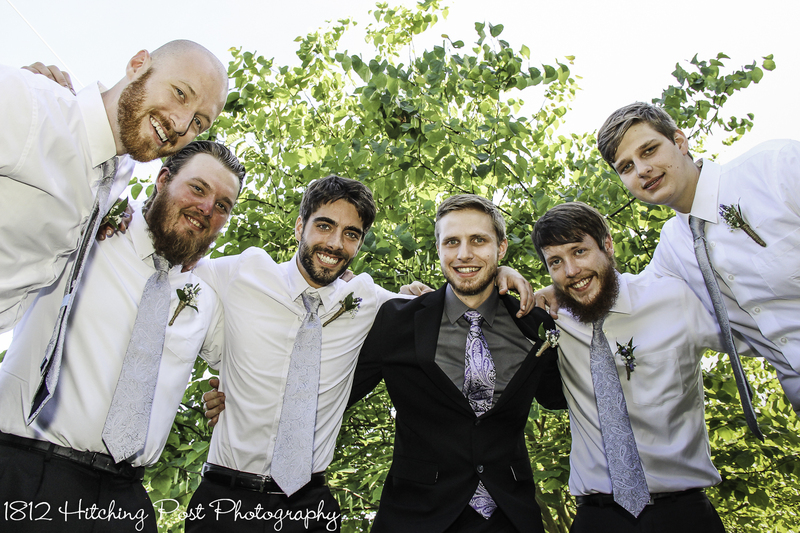 Reception and Ceremony decor by 1812 Hitching Post.